Then spot the city in the making. You have been up there before. Your routine attic-trip. Climbing up the timber boards of the wooden vaults. You say you are good at spotting fictitious city walls of unknown capitals. Carved in the highest vertex of the geometric solid, just above the choir: geography of an imagined home. You say your eyes are drawn to it. You have been up there on many occasions. The ceiling. The city. Stretches out like fishnet made of braided fibres, robust like ribs, or bridges. On the curvature of the vaults, diagonally, transversely, intermediately, slim figurines walk across in haste…shadows of circus animals march across the arches, camels, laden, caged-in monkeys, agitated, acrobats, fire eaters, hand in hand, no doubt, there is a world up there, perpetually changing, dependent too on the position of the sun, a non-stop preparation in dusk, you say you can spot clear outlines of builders, masons, bricklayers, all in the process of building. No. Knocking down. Yes. Building. To get to the core of the place they have been travelling to for so long. They travel to settle, you say. You say you see them arrive, slow rows of caravans, departing. Unclear. The difference. Between departures and arrivals. Ágnes Lehóczky is an Hungarian-born poet and translator. 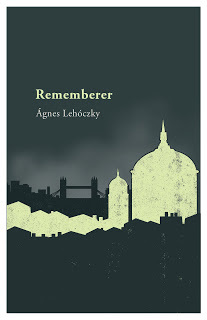 Her first full collection, Budapest to Babel, was published by Egg Box in 2008; her second one, Rememberer in 2012 (Egg Box) includes "Torso in the Window". Her collection of essays on the poetry of Ágnes Nemes Nagy, Poetry, the Geometry of Living Substance, was published in 2011 by Cambridge Scholars. She currently teaches creative writing at the University of Sheffield. 'Torso in the Window' written by Ágnes Lehóczky is a successful prose poem because of the poetic sound that it has. The use of short sentences makes it read faster, as though the poet is being choppy and out of breath. This increases the flow of the prose poem, especially towards the end. It does sound very poetic and includes some very poetic imagery such as ‘Stretches out like fishnet made of braided fibres’. The prose poem focuses on one very specific thing: going up into the loft. It sets up the scene to almost stop time and every focus of the poem is given to this one exact moment making it highly concentrated on one idea, as successful prose poems are.